Give a Gift of a Book: many women cannot afford the cost of a book. Part of our outreach is gifting books. If you would like to give a gift of a book (or books): (1) Purchase a book(s) as if you were going to purchase the book for yourself. (2) Follow up the purchase with an email telling Kimberly you wish to gift the book(s). Group leaders: Kimberly would love to email your group a welcome letter. Send her a request. "I wanted to express my gratitude for your book "I'm Beautiful, Why Can't I See It". I began reading this book about one month ago after struggling with an eating disorder and body image issues since I was 13 (now am 26). I had been filled with hopelessness-I thought I would never be through with this or "normal". Now, every morning, I pick up the book and my bible and my heart is filled with hope. God is really using the book to speak truth into my life." -- Nicole T.
"Motivating the reader to journal their thoughts and be reflective is a great thing. Many woman never get to psychotherapy and this is the next best replacement." -- Christina K.
"I never have committed to a Bible study before. I have always looked for other spiritual books to answer my void. Today, His Word, through your guidance gave birth to an enriching understanding and way to heal. I am amazed that I had no anxiety or desires to eat more than I did. It was so at peace and 'normal'. This would not have happened if I was not doing your work. Your book works. I can say that with all my heart as I am learning to lessen my mind with 'me'. I guess I'm giving the true Holy Spirit room to enter and manifest a miracle. I send you love and thankfulness." -- Gail B. "Your devotional study has been encouraging me and helping me place God at the center of my recovery from my eating disorder. It is the hardest thing I have ever done, and I am grateful that I found it." -- Kara D.
"I am certain that I am chosen by God to do this I'm God's GIrl? Why Can't I Feel It? study. I am finding your writing style and dialogue resonating such a loving lyric. I have been on a heart lifted journey and am already soaking up so much hope, love and faith that this is a path that will work for me. I can feel the light, and the reading has opened up such trust and hope in Father God." -- Janice F.
"I read your study (God's Girl) and it was great. It helps me a great deal to have someone bring the Bible to me in terms of my eating disorder, and to draw out the relevant teachings and verses. It was very helpful." -- Elaine S.
"I believe that God lead me to your study, as it was exactly what I had been searching for and needed to help in my recovery. I now see that having faith in God and turning to Scripture is the only way to get better and live a meaningful life. Thank you so much, Kim. You have helped me and no doubt countless of others who are struggling with eating disorders." -- Leanne K.
"Thank you so much, Kim, for creating Olive Branch Outreach. I have been thinking about starting an eating disorder support group in my area (Stratford, Ontario, Canada) that is based on Christian principles and the Bible. I was wondering if you could be give me any ideas or direct me to any resources that would help me structure a group. Thank you so much Kim for all of your work in this area. You are truly an inspiration!" -- Carol H.
"My name is Maria. I am from the Philippines. At 15 I started binging and purging. I thought I was ugly and fat. I have the wrong self-image and insecurity. Everyday I pray that I will overcome temptation with God's grace. I want to start a support group in our Church. I hope you can help with this endeavor. To God be the glory." -- Maria D.
"The content is excellent. I liked the bite sized bits of material because I could "chew" on one idea at a time. You are changing the future of my generation. Your writing is bridging the gap between this generation and hope. You're like a loudspeaker, getting people's attention, getting them involved, and rescuing the hiding, hurting people." - Kat M.
Are you experiencing crushing sorrow, a heartbreaking blow or bitter disappointment? Have you felt confused as to why you continually feel down or sad or numb or angry? It may be because your soul is wrestling with “unresolved grief and loss.” Loss isn’t always about physical death. There is a profound connection between anxiety, post-traumatic stress, depression, anger, fear, guilt, shame and loss and grief. 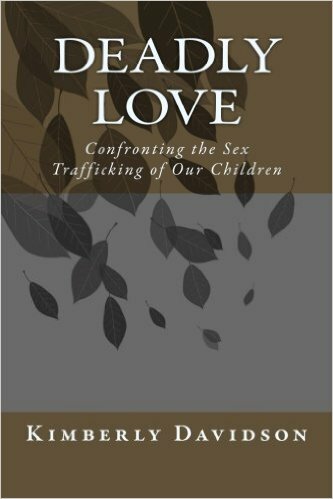 This book offers participants specific actions needed to move beyond loss. The past isn’t your past if it’s still infecting your present. Could you ever imagine there may be a biological connection between what happened when you were a kid and your body breaking down decades later? Our past can tick away inside us for years like a silent time bomb—until it lets us know our body hasn’t forgotten the past. Negative thoughts and emotions remain alive in our memory networks.Scientists repeatedly confirm emotional stress and adversity affects the cardiac, respiratory and immune systems; it affects the brain and mind. Our emotional biography becomes our physical biology—yet, the Bible vows—and science confirms—our biology doesn’t have to be our destiny. When our brain’s information processing system is stuck, we need help to jump start it. We need to decide to—with our Creator—change our inner world and do “the Work.” We have a choice—either stay locked in the past or proactively take biblically and scientifically proven steps to transform ourselves. Do you want to re-story your life? 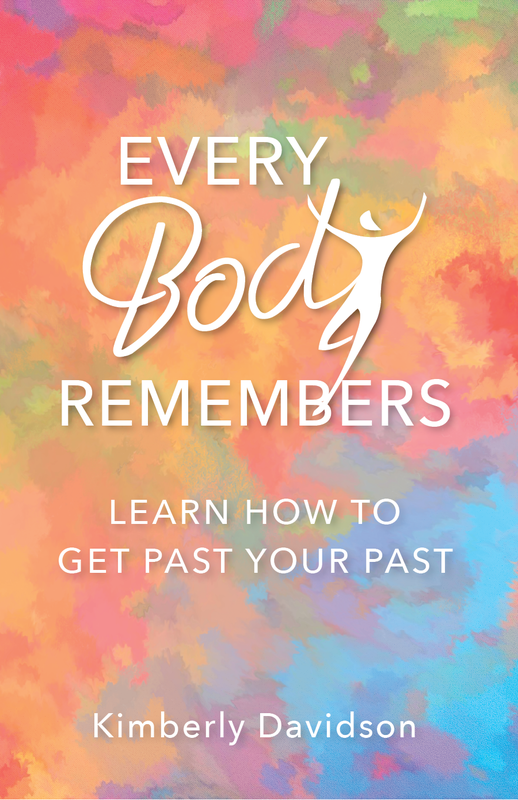 Every Body Remembers will walk you through “the Work”—thought and memory therapy for healing the hard and hidden stuff—with the Great Physician. You will discover new insights about how to achieve optimum health and live a better life despite past adversities. The simple time-proven self-help exercises will help you cut through years of negative thinking beliefs so you can move forward towards the glorious plan God has for your life. You will think better—feel better—appear better—perform better, and be in a good place to do what God created you to do. Brain research has found that our thoughts and beliefs affect our physical, mental, relational and spiritual health significantly. There is no freedom without a change of mind. 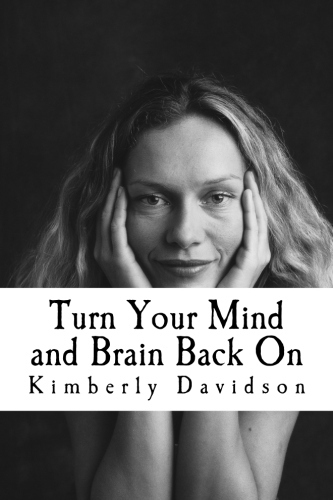 In Turn Your Mind and Brain Back On, Kimberly tackles the spiritual roots of negative thinking and behavioral patterns. She combines the latest in brain physiology with the Word of God. She teaches women how to “take every thought captive,” renew her mind and put on the mind of Christ. This study walks the reader through how her mind can be restored—turned back on—to the way God designed it to be. Millions of Christian women are trapped in pain, broken families, economic misery, depression, emotional disorders, fear, and addiction, all of which create harmful thoughts literally embedded in their minds. Each one needs hope, healing, and help from the Perfect Counselor. To come to terms with your past and move powerfully into the future. How to update toxic memories by bringing in new, relevant information. The best ways to validate your emotions and build your self-worth. To take back control and thrive in relationships. To love like you’ve never been hurt. Millions of women today are in desperate need of healing from destructive thoughts and emotions: anxiety, fear, jealousy, doubt, perfectionism, anger and depression. Our mind affects our whole being. Research shows that approximately 87% of illnesses can be attributed to our thought life. Our attitudes are important to health and success in life. We cannot live the life God intended, a life of freedom and joy, without a change of mind. Drawing from personal and ministerial experience, women's pastor Kimberly Davidson will lead you on a life-changing journey where you will learn how to confront and conquer harmful thought patterns and behavior. Toxic thoughts and emotions, which Kimberly calls mindholds, can be God's way of telling us we have some serious things to deal with; things that are holding us back. Because emotions and behaviors involve a complex interplay between the heart, the mind and the body, it benefits us to know how our mind is influenced and how our brain works. In this book you will be given proven techniques to optimize heart and mind, even brain function. By implementing R-E-S-I-S-T, you can experience true and powerful mind change, restoring the new mind and nature Christ died to give you! I am re-reading BCGM once again and I am seeing it in a whole new light, different than I did the other times I read it. ~ Jen T.
Most of us have wondered: "God says I am a new creation in Christ (2 Cor. 5:17). Why don't I feel like it?" Christ came to set us free—not free to do what we want, but he has freed us to do the impossible. Through the power of the Holy Spirit we can live selfishly and dream big, fulfilling our God-given destiny! The apostle Paul reiterated over and over that the key to Christlike transformation is to abandon everything connected with our old way of life. Instead, we are to put on an entirely new way of life, renewing our attitudes and thoughts until they reproduce God's character in us. His message describes a battle for our mind, heart and body. Today, scientists confirm that every thought and behavior involves a complex interplay between the heart, the mind and the body. We do not merely experience anger in our minds, we feel it biologically in our body. If we were to look at our brain we may even see a dark abscess caused by the stronghold of anger. There was not only a spiritual reason for Paul's battle cry, but a psychological and biological reason. In these three sessions, Kimberly's objective is to point the audience to the one who has the ability to literally open their mind and heart, and break every stronghold, ultimately leading to FREEDOM: thinking, feeling, and living better. Childhood abuse, domestic violence, and sexual assault are everyday crisis’s that devastate the lives of countless women and girls. Each one needs help, hope, the courage to heal … and a Savior. How to take back control, restore trust, and reclaim your life. The best ways to build your self-image and self-worth. To love like you've never been hurt. It’s Not Supposed to Be This Way! Another book on depression! But this book is different. It is not about how depression affects you, or about anti-depressants, or how to help or live with a depressed person In this book we will explore in a series of daily teachings the different paths some amazing, and surprising, women took to get out of their personal dark dungeons. Drawing from personal and ministerial experience, join womens pastor Kimberly Davidson on a life-changing biblical journey where you will find encouragement, wisdom, and practical help to defeat depression and the blues in this 365-day devotional. In the Bible, many of Gods girls, his precious daughters, dealt with depression. Follow Gods treasure map and feel the women depicted in Im Gods Girl? Why Cant I Feel It? urging you to climb out of your pit. Their stories are your stepping stones. Take their hand. Learn from them. Geared to women of all levels of Bible understanding, this effective, day-by-day healing study is for anyone struggling with depression or the blues. Gods Girl is not the description of one woman, but a portrait of different godly women, all with a direct connection to Jesus Christ. They became who they were created to be: women of hope, influence, and faith, because Jesus Christ, whom they put their trust and faith in, transformed and refined their lives. Part Two: What Am I Here For? Part Seven: There Was Light! Part Sixteen: God's Girl is Light! A New Approach to Treating Anorexia, Bulimia, and Overeatingby Gregory Jantz, Ph.D.
Dr. Jantz has developed a program that treats the emotional, relational, physical, and spiritual aspects of eating problems. This approach can be used by those with food disorders and their families and friends. Each chapter contains questions and activities to lead readers through progressive steps to healing.